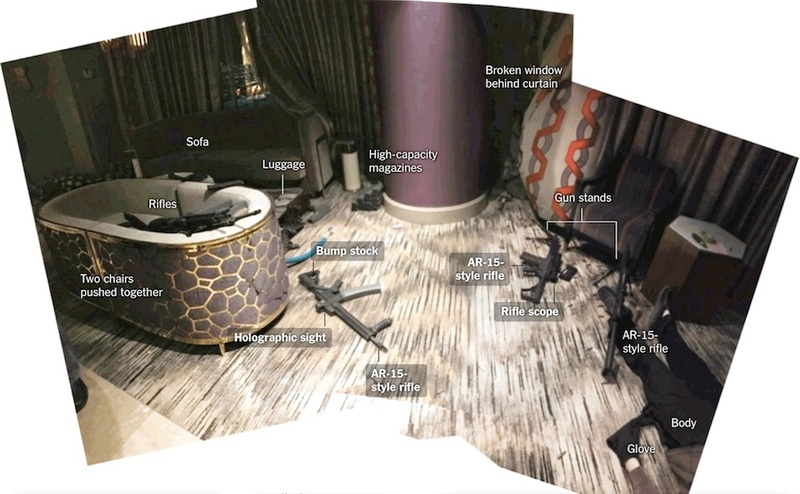 Where Are The 1,000s Of Rounds Of Paddock's Brass Casings? The shooter's broken-out window is behind the curtain on the top right. The carpet should be COVERED with brass shell casings. around his head (along with the 'suicide' pistol) for a staged photo op.